How do I clean my upholstery? How to care for your new area rug. How to fit a rug into your room. Does leather wear better than fabric? Isn't leather hot in summer and cold in winter? Will my dog or cat be likely to cause damage to leather with their claws? Are the animals used in the tanning of leather furniture bred and killed for this purpose? Does leather crack and split over time? What is a split hide? Should I be concerned if my new leather furniture has markings such as small lines, blemishes, scars or color variations on the surface? Why can the cost of leather furniture vary so much? What is leather mate or leather match? What is pure aniline dyed leather? What is semi-aniline dyed leather? Modern technology has improved much in the way furniture is produced; modern glues are less susceptible to drying up, modern finishes have greater resistance to marking, and expensive carved molding can be produced for a fraction of the price. The one thing modern technology hasn't improved is wood. But then again, what's to improve? For hundreds of years, the pure beauty of wood furniture has made for treasured family heirlooms. Although wood has its beauty, it is far from perfect. It's the nature of wood to have knots, mineral deposits, wormholes and unusual grain patterns. Each piece is as individual as a fingerprint and will take the stain slightly differently - even two boards from the same tree. This is inherent to wood and is not a defect unless it interferes with the product giving satisfactory service. Dust Regularly with a soft, clean cloth or one slightly moistened with a natural polish. Avoid polishes containing petroleum products, since they damage the finish. Even dust may be abrasive, so always dust with the grain and not across it. Do not expose your furniture to strong or direct sunlight, heat outlets, open windows and dampness. Excessive exposure to sunlight can cause fading of your furniture finish. Extreme temperatures and humidity changes can cause cracking and splitting. Operating a humidifier in your home is recommended. Maintaining even humidity conditions is beneficial to all furniture with wood construction. Do not place rubber or plastic materials on the wood finish. Chemicals within the plastic or rubber may react with the finish if left in contact for a long period of time. Place a strip of felt or cork under your accessories to avoid markings. Be sure to always use felt discs, placemats (without rubber backing), coasters, etc. when placing lamps, glasses, hot objects, etc. on tabletops. Despite modern, water-resistant finishes, it is very important that water not be allowed to stand on top of finishes or in decorative router lines. Commercial glass cleaners may discolor brass or chrome finishes. For stone surfaces, liquids should be immediately soaked up with a paper towel and wiped dry to avoid any staining. When storing table leaves, always lay flat, beneath a bed or somewhere out of the way. Standing on end will cause warping. All wood grains absorb stains differently. Inch by inch, there will always be varying degrees of light and dark tones throughout. This is a characteristic which makes your piece beautifully unique. Tilting back chairs while sitting in them is dangerous and will loosen the glue joints. This practice should be strictly discouraged! Also avoid standing on chairs and hooking your heels on the cross supports of the chair base. Remember, decorative wood spindles are fragile and will break if subjected to undue stress. Vacuum with soft brush attachment weekly to remove dirt and dust that can cut threads or wear fibers. All seat cushions should be turned and rotated (if reversible) after every vacuuming (at least every few weeks). This will help stop your cushions from twisting and provide even wear. If twisting does occur, simply open at zipper and pull fabric around by hand. Zippers are there for ease of assembly by the manufacturer. Do not attempt to remove the cover or machine wash.
To successfully clean fabric, it is important to determine the type of fabric and the recommended cleaning code. This information can be found on the tag attached to the furniture. Cleaning Code: W: Use a water-based cleaning agent or foam. S: Use a mild, water-free dry cleaning agent. WS: Either water-based cleaning agent, or a dry cleaning solvent, or foam type cleaner may be used. X: Do not use a foam or liquid cleaner of any type. Vacuum or brush lightly to remove soil. For any type of cleaning, we recommend that a professional upholstery cleaner be contacted. 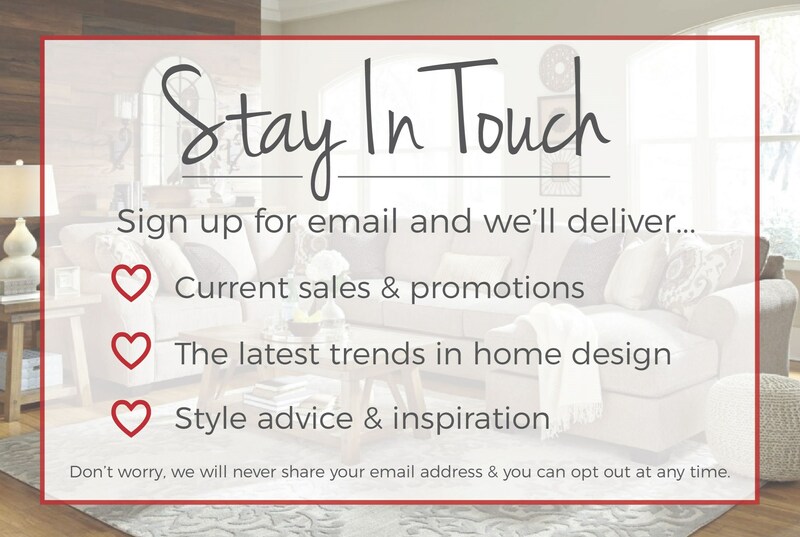 If you have further questions relating to your particular piece of furniture, please contact a Sheely's sales associate for further information. Pilling is a characteristic of many upholstered fabrics that results in excess fiber coming off the surface of the material. The release of excess fiber results in small "balls" or "pills" forming on the surface of the cover. This condition is not warranted by the fabric mills because it is not seen to be a defect. It is simply excess material being released. This is similar to the "fuzzing" experienced with a new carpet or the pilling of a new sweater. The concern on the part of most consumers is that the fabric is disintegrating and will ultimately leave a "bald" area on the cover. This is not the case. As with carpets and sweaters, the pilling will persist until the excess fiber is gone and then it will cease. The best treatment while this is happening is to simply "shave" the cover with a battery operated furniture or sweater shaver to remove the "pills" and restore the look of the cover surface. This may need to be done three or four times, but the pilling on the surface will begin to diminish and ultimately stop. Periodic vacuuming of your upholstered furniture is also recommended. Genuine leather is warm and inviting and one of the few materials that actually gets better with age. Continued use only makes it more comfortable. But we have something to tell you about this most beautiful and durable material. Nature loves to be creative and, as a result, no two pieces of leather are identical. Even the same hide has shade differences due to higher or lower density of the material's fibrous structure. As well, there will be distinctive marks from barbed wire nicks, branding, scratches and even insect bites. These give each piece of leather upholstery a personality all its own. Only true leather can boast these marks and they are not considered cause of a warranty claim. On average, leather will outwear any fabric four times. In addition, as leather is used, it improves in feel and appearance - developing a softness and "patina". Because of its longer life, buying leather is a wise investment. Customers receive far more value for their money. Not really. Since leather is porous, air circulates through it and assumes the temperature surrounding it. Sometimes people confuse this symptom with vinyl. Since leather has a far denser fiber make-up than woven fabric, the likelihood of your pet puncturing it is remote. In addition, with the techniques employed today in leather repair, any surface damage can be repaired. With the chemicals used in tanning and dyeing, the natural attraction of "raw hide" is eliminated. If pets are your concern, leather is your best choice. Absolutely not. Leather is a by-product of the beef industry. If the hides were not used to make leather products, they would be disposed of as waste. Not anymore. With the use of natural and synthetic oils in the processing, drying out and breaking down of today's leathers, cracking and splitting will not occur as in years past. Leather is easy to care for and will last many years with little day-to-day maintenance. The finishes applied to leather make it the perfect choice for families with children or pets. "Splits" are the layers of skin below the surface. (The surface layer is the Top Grain.) These are used in some cases on the non-seating areas of leather furniture. They are "corrected" to look like the top grain and offer a cost savings. Only the second layer is used in quality furniture. The rest is used to make shoes and belts, etc. Full Aniline: This process uses only the dye as the visual color. Semi Aniline: In addition to the aniline color in the leather, a slight surface color may be used to achieve a constant coloration. Also, a protective finish may be applied to the leather. Surface Dye: In this process, the color you see is entirely surface applied. However, aniline dye is still used to give the leather its initial coloration. No. These marks are the "Signs of Nature" - your assurance that you own genuine leather. Since raw hides come from animals all over the world, the climatic and range conditions vary greatly. Animals from arid, semi-harsh environments have tougher, more exposed hides than from the cooler, more temperate climates. The process of correcting a hide to remove the effects of a harsh environment is less costly than the cost of a "clean hide." Therefore, pricing generally reflects the animal's origin. Other factors such as special surface treatments and the age of the animal also affect the final cost. The single most important reason for this is size. Since as much as 40% of the cost of the finished product is the leather itself, a couple inches in its dimensions can add dramatically to the price. Also the grade of leather, split hides and additional style details will contribute to the price equation. Leather that has been slightly buffed to remove some imperfections in the grain. Top grain leather in its natural state, not corrected or buffed, including the natural markings often referred to as the thumbprint of nature which makes each hide unique. Combinations of leather and vinyl on the same piece of furniture. Over time, as the leather and vinyl age, the "match" in color and texture may degrade. Coloring of the hide using coatings containing opaque pigments. This improves uniformity of shade and resistance to fading. Leather that has been vat or drum dyed with aniline, a transparent organic dye which permeates the entire hide without coating or obscuring its surface. This is the most expensive method of dyeing because the ingredients are organic and therefore more costly to obtain. Also, because of the transparency of color, only the finest quality hidesare used to create pure aniline dyed leather. Pure aniline dyed leathers are known for their soft, natural feel as well as their beauty. However, aniline dyes offer little resistance to soil, stains or the effect of sunlight. Leather that has been aniline dyed through and then sprayed with opaque protective finishes. These offer increased resistance to soiling, staining and sunlight, making the leather more practical for contemporary family lifestyles while still retaining much of the softness and natural characteristics of unfinished aniline dyed leather. Hides are cut or split longitudinally to ensure uniform thickness of the top grain. The underneath layer of the hide is tanned, dyed and embossed with a grain pattern to match the embossed top grain leather. This enables manufacturers to get a much better yield from hides without detracting from the appearance or wearability of the product. The benefit of combining top grain and split hides is the overall reduced price of the product. The top portion of the split hide. The top grain is very durable because there are no consistent fiber patterns along which the hide can tear. It may be either full grain or corrected grain leather.